Happy Mother’s Day. Don’t ask me why I’m up at 7am on a Sunday. Maybe I knew Lucas had put out the Grazia set at Earthtones. The whole look is inspired by this dress which is a dollarbie from Nicky Ree. My pose is from the new Vanity set from Torrid. “Soon” has finally come for us all and then some. The full set includes a short and a gown length skirt in a number of colors. At the same time, the Mandala set came out from Earthtones. The second I saw the moonstone texture I had to have it, moonstone is one of my favorite gems in real life and this is my favorite texture for it in sl. Isn’t this such a gorgeous gown? You really need to go to flickr and see the larger size. It is incredibly detailed. 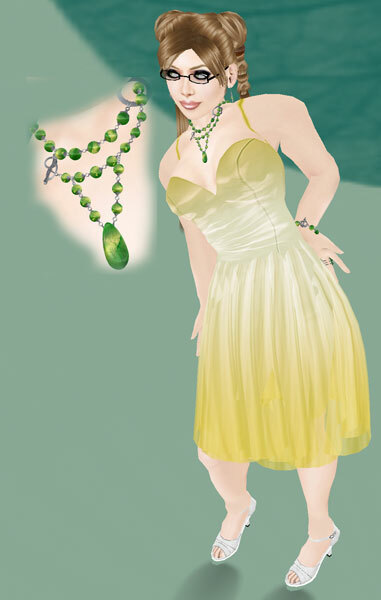 You are currently browsing the Nicky Ree category at SL Fashion Notes.